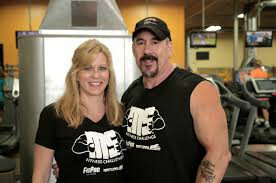 The MS Fitness Challenge (MSFC) was birthed from David Lyons’ MS Bodybuilding Challenge and his wife, registered nurse, Kendra’s desire to help others who suffer from multiple sclerosis. 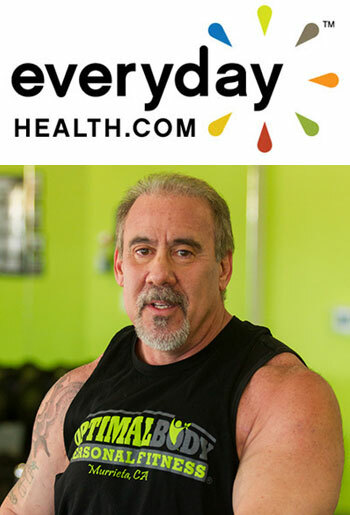 His bodybuilding challenge and his book, David’s Goliath, about his journey as a bodybuilder with MS, are inspirations to others who find trials and obstacles in life too difficult to overcome. David and Kendra founded the MS Fitness Challenge charity organization as a way for others to join them and fight this debilitating disease through health & fitness. Partnered with our many loyal sponsors, it is the goal of the MS Fitness Challenge to educate people with MS and their trainers on exercise, nutrition and mindset in a lifestyle of fitness, in conquering this disease through a complete management protocol. MSFC is certifying fitness professionals worldwide to work one on one with people with MS in an effort to educate and train them in the benefits of health & fitness in winning the battle against multiple sclerosis. MSFC implements the support people with MS need to stay as fit as possible, overcome limits and keep their bodies moving. Help us help those with MS to beat this disease through health & fitness and combat its devastating effects on the body. We are a 501(c)(3) not-for-profit organization and 100% of all donations go to the cost of the MS Fitness Challenge program. It is the mission of the MS Fitness Challenge to provide guidance and support to people with MS and fitness professionals worldwide in an effort to educate and train them in the benefits of exercise, nutrition and mindset in winning the battle against Multiple Sclerosis. MSFC pays for these programs through the donations of its supporters. Our main focus is on fitness programs, such as our 12 week fitness events; nutritional counsel; and ongoing motivation for all those who want to change their lives and successfully reach their health and wellness goals despite MS.
MS is a chronic, unpredictable autoimmune disease that affects the central nervous system (CNS). The CNS consists of the brain, spinal cord, and the optic nerves. Surrounding and protecting the nerve fibers of the CNS is a fatty tissue called myelin, which helps nerve fibers conduct electrical impulses. In MS, myelin is lost in multiple areas, leaving scar tissue called sclerosis. These damaged areas are also known as plaques or lesions. Sometimes the nerve fiber itself is damaged or broken. Myelin not only protects nerve fibers, but makes their job possible. When myelin or the nerve fiber is destroyed or damaged, the ability of the nerves to conduct electrical impulses to and from the brain is disrupted, and this produces the various symptoms of MS. MS is not contagious and is not directly inherited. People with MS can expect one of four clinical courses of disease, each of which might be mild, moderate, or severe.